Shree Shastri, a post graduate in Sanskrit and Shrimati Shakuntala Shastri, a graduate from Kanya Mahavidyalaya Jalandhar, virtually resolved just after their marriage on 5th October 1929, to dedicate their life for girls and women education. However, Gandhi’s mass appeal was against the Governmental education owning to the ongoing non-cooperation movement. Hence the Shastri couple began their educational pursuit by imparting oriental education to young girls. In 1940, when British Raj, under pressure from war conditions, declared that independence will be granted to India soon after the war the changed scene encourage Shastri couple to seek the constitution of an NGO by the name Mahila Vidyalaya Association, Satikund Kankhal, Haridwar. This Association, registered under the societies Act 1861, as a parent body created Mahila Vidyalaya Educational centre for women in Haridwar. It got recognition in 1945 for high school classes, 1948 for intermediate classes and subsequently a degree college was also created in the near by campus in 1966 which was elevated to the position of post graduate centre for learning. The Shastri couple has shown the light that while Vedic culture as well as civilization should be the way of life but the changing world of science and modern perceptions should also be taken note of because Veda means knowledge. Shastri ji also held several socio-political assignments and was honored by UP Legislative Assembly in October 1992, for his excellence in public life. Shrimati Shastri also held several public assignments before and after independence. She passed away in 1979 while Shree Shastri lived up till 1996 to show his vision to the institution. A PhD thesis has also been submitted in CCSU, Meerut in 2011 evaluating the socio-political contribution of the Shastri couple. 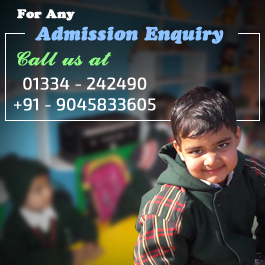 It was during the life time of Shree Shastri that a model preparatory school was founded in 1983 which subsequently became a model basic school up to class 12th. However, as so many friends of the institution suggested that in this era of commercialization if this model school is elevated to secondary level and subsequently to the Senior Secondary level under a central board format then it will be a useful and economic pick for the people of Haridwar to send their children for school education. As it is in the heart of the town it may not require heavy expenses on bus or transport mode as most of the CBSE and ICSE schools require in Haridwar owning to their locations on highways far from the town. Mool Chanda Shastri Bal Vidya Peeth represents the undying zest for spreading education of its founder couple –Late Shree Mool Chandra Shastri and Late Shreemati Shakuntala Shastri. The couple laid the foundation of Sheesh Ram Memorial Trust, the parent body of MCS Bal Vidya Peeth to further education, especially for girls in 1932. Over the years Mahila Vidyalaya Post Graduate College, also managed by a committee constituted by Sheesh Ram Memorial Trust, has emerged as important centres of women education in Haridwar. MCS Bal Vidya Peeth, earlier run as a state board institution, is now affiliated to the CBSE upto the Secondary level. It is a co-educational institution that is committed to creating opportunities of learning for its students. It has a separate walled premise in the larger educational campus.